Do you surf the web? Let us help you navigate the waters pertaining to Internet Law. 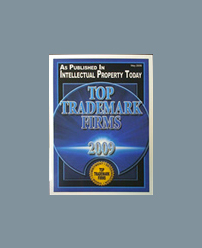 Intellectual property claims have become common on the Internet. Such claims can include Web Site Development Issues; Domain Name Disputes; Trademark Issues; and Web Page Linking and Legal Liabilities. Domain name issues: Domain names function as the address for a website, and disputes over domain names have become more common. It is a common mistake by website designers and developers to consider the domain name registration as “superior” to a trademark registration, when in fact it is not. Before selecting, obtaining, protecting and/or reclaiming a domain name, it may be wise to perform a trademark search to verify that the chosen domain name is available for Federal Trademark Registration, thus reducing the probability of it infringing on another party’s trademark rights. 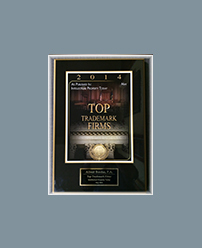 Trademark issues: Websites can contain descriptions of products or services. Website designers and developers must be aware of potential trademark issues arising from the use of a word, image, or slogan designed to identify the goods or services of a third party.The terms, “confusingly similar” or “likelihood of confusion” both refer to the standard required to prove infringement of a trademark. Specifically, if the relevant consuming public will likely be confused or mistaken about the source of a product or service sold using the mark in question, then likelihood of confusion exists, and the mark has been infringed.